or $5,000 off for 15 days!!!!!! THE place for Mountain Nyala. 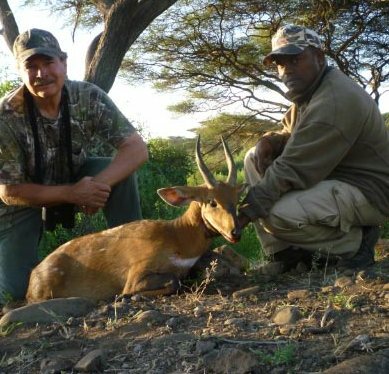 The other major species is Menelik's Bushbuck. The best months are October - June. 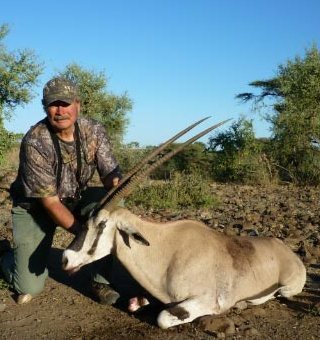 The hunt is for 21 days at $1,675 = $35,175 + 15% VAT + $100 per day conservation fee and $30 per day game scout fee. You will probably hunt much less, but you pay for 21 days. 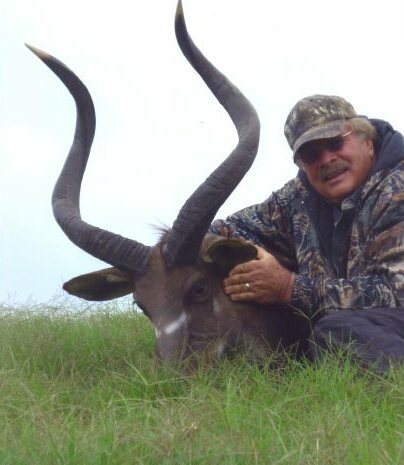 Trophy fees are $15,000 for Mountain Nyala and $6,000 for Menelik's Bushbuck. 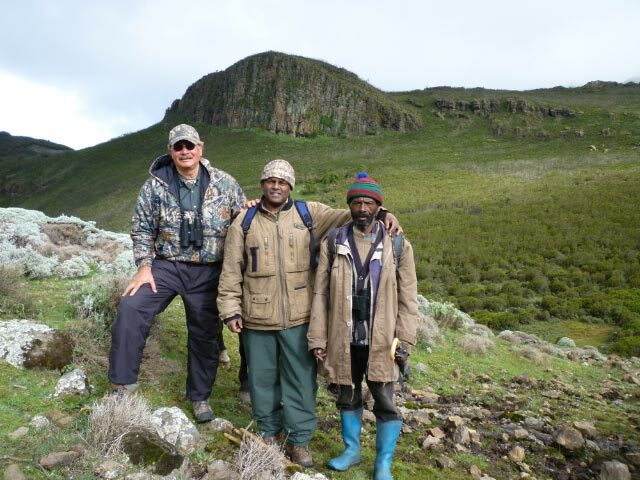 Other species usually available in the mountains are Colobus Monkey, Anabus Baboon, EA Bush Duiker and, occasionally, EA Bohor Reedbuck. 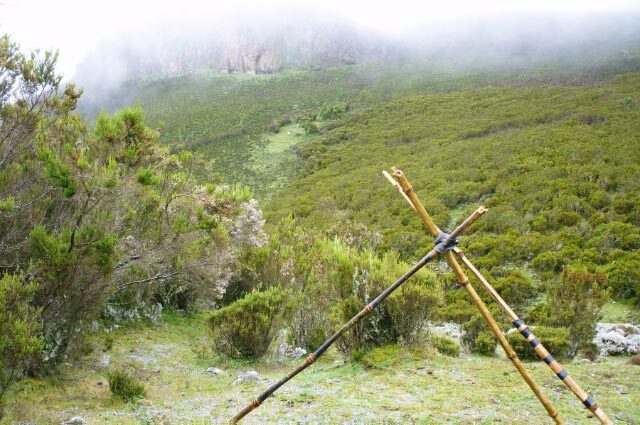 By adding 3 extra days at $1,675 per day (+ 15% VAT), you will have 24 days to hunt both the mountains and the desert. There is also a $1,500 change-of-camp fee. 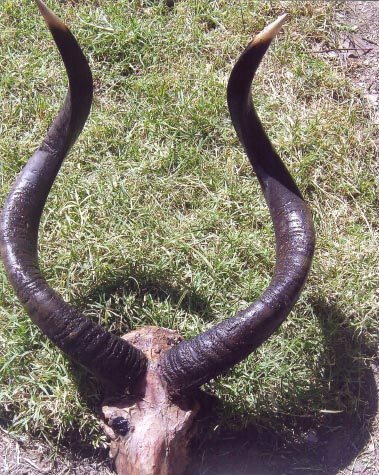 The major species are Beisa Oryx ($2,000), Lesser Kudu ($3,000), Soemmering's Gazelle ($2,600), Salt Dik Dik ($340), and Abyssinian Bushbuck ($700). Other species usually available are Hamadryas Baboon ($1,000) and, occasionally, Ostrich, Golden Jackal, and Abyssinian Hare. Call Ken Wilson He has done this hunt and can advise you as to what it is really like. Call 830-792-4200 or 800-910-HUNT. 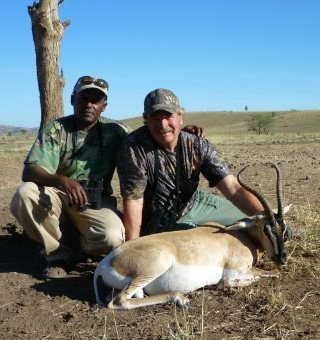 Ask about the availability of Giant Forest Hog, Northern Grant's Gazelle and Northern Gerenuk.